A patient who would like to upload their data from home and/or connect their Dexcom Clarity account to Tidepool. 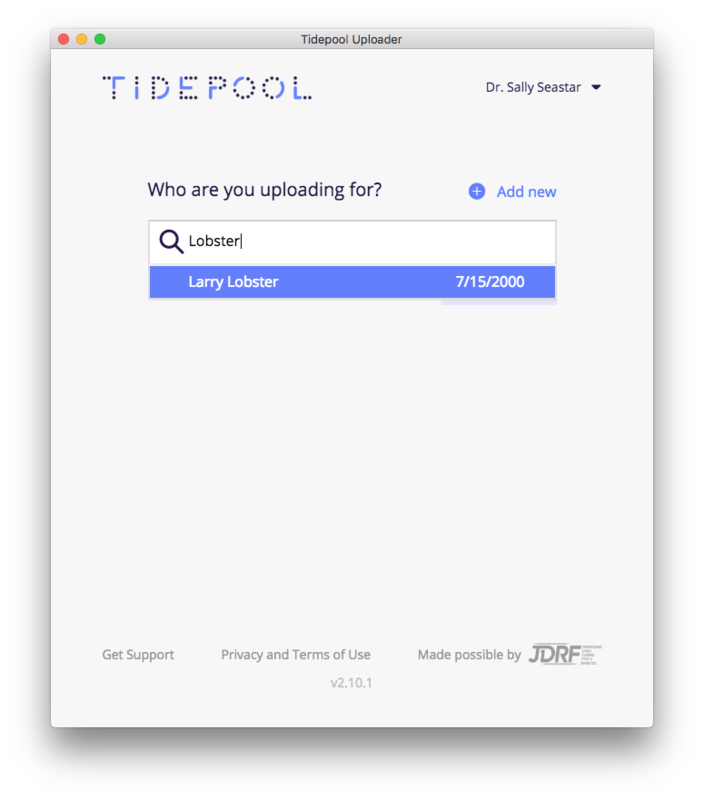 As a Clinician, you can create new patient accounts within Tidepool Uploader. 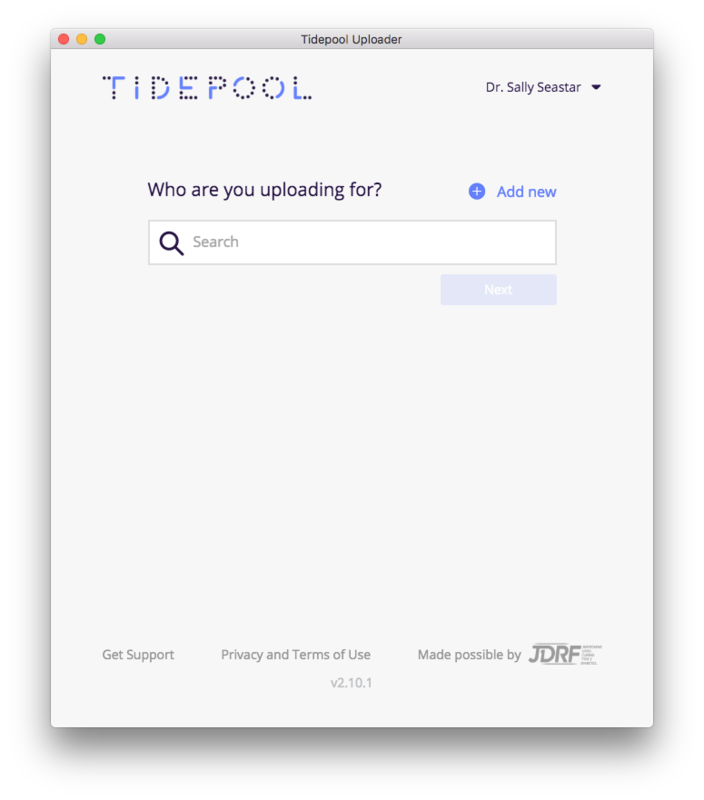 If you would like your patients to upload their data from home, or connect to their Clarity account to Tidepool, you will need to add their email address to their Tidepool account. 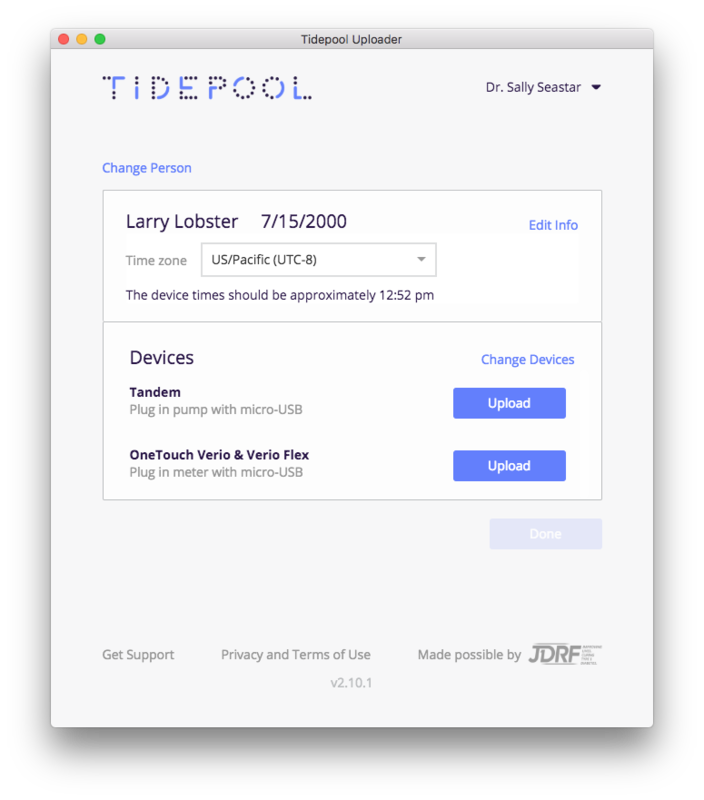 Login to your Clinician account in Tidepool Uploader. Search for the patient whose account you want to update with an email address. Click "Edit Info" to access your patient's profile. Enter your patient's email address and click "Save". 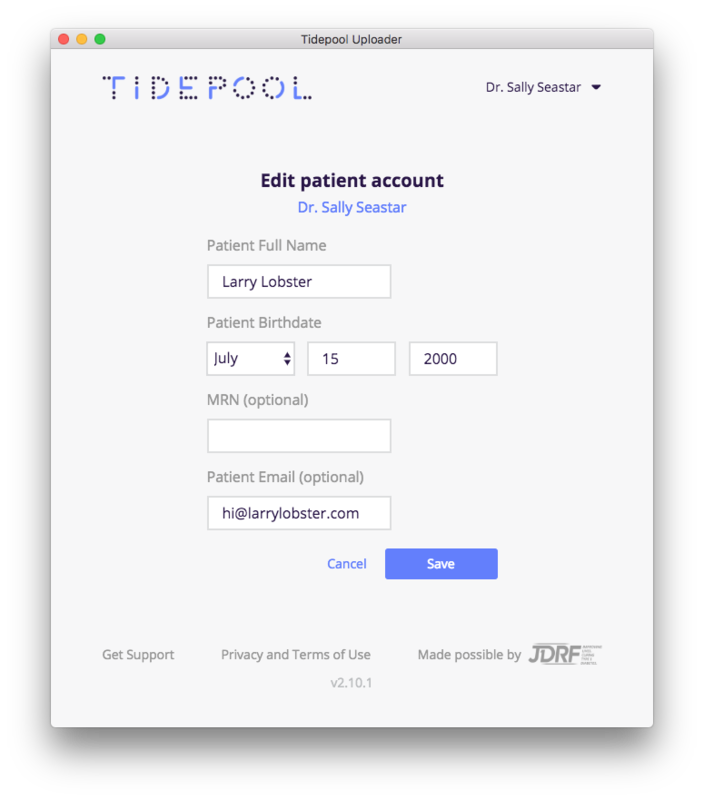 Tidepool will send your patient an invitation to access their profile so that they can claim their account and upload and view their data from home. Once complete, you can resume uploading your patient's data or click "Change Person" to select another patient.